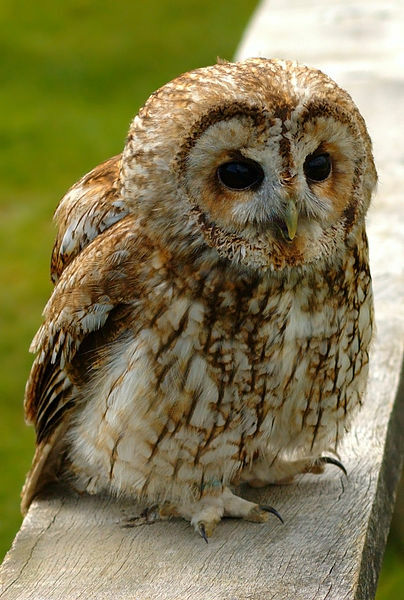 T is indeed fitting that the great poets have ever been the best interpreters of the songs of birds. In many of the plays of Shakespeare, especially where the scene is laid in the primeval forest, his most delicious bits of fancy are inspired by the flitting throng. Wordsworth and Tennyson, and many of the minor English poets, are pervaded with bird notes, and Shelley’s masterpiece, The Skylark, will long survive his greater and more ambitious poems. Our own poet, Cranch, has left one immortal stanza, and Bryant, and Longfellow, and Lowell, and Whittier, and Emerson have written enough of poetic melody, the direct inspiration of the feathered inhabitants of the woods, to fill a good-sized volume. In prose, no one has said finer things than Thoreau, who probed nature with a deeper ken than any of his contemporaries. He is to be read, and read, and read. But just what meaning should be attached to a bird’s notes—some of which are “the least disagreeable of noises”—will probably never be discovered. They do seem to express almost every feeling of which the human heart is capable. We wonder if the Mocking Bird understands what all these notes mean. He is so fine an imitator that it is hard to believe he is not doing more than mimicking the notes of other birds, but rather that he really does mock them with a sort of defiant sarcasm. He banters them less, perhaps, than the Cat Bird, but one would naturally expect all other birds to fly at him with vengeful purpose. But perhaps the birds are not so sensitive as their human brothers, who do not always look upon imitation as the highest flattery. Nor does the plaintive, melancholy note of the Robin, that “pious” bird, altogether express his character. He has so many lovely traits, according to his biographers, that we accept him unhesitatingly as a truly good bird. Didn’t he once upon a time tenderly cover with leaves certain poor little wanderers? Isn’t he called “The Bird of the Morning?” And evening as well, for you can hear his sad voice long after the sun has himself retired. Thee to woo to thy tuwhit. In references to birds, Tennyson is the most felicitous of all poets and the exquisite swallow-song in “The Princess” is especially recommended to the reader’s perusal. Birds undoubtedly sing for the same reasons that inspire to utterance all the animated creatures in the universe. Insects sing and bees, crickets, locusts, and mosquitos. Frogs sing, and mice, monkeys, and woodchucks. We have recently heard even an English Sparrow do something better than chipper; some very pretty notes escaped him, perchance, because his heart was overflowing with love-thoughts, and he was very merry, knowing that his affection was reciprocated. The elevated railway stations, about whose eaves the ugly, hastily built nests protrude everywhere, furnish ample explanation of his reasons for singing. 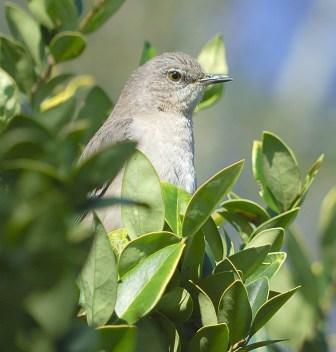 Birds are more musical at certain times of the day as well as at certain seasons of the year. During the hour between dawn and sunrise occurs the grand concert of the feathered folk. There are no concerts during the day—only individual songs. After sunset there seems to be an effort to renew the chorus, but it cannot be compared to the morning concert when they are practically undisturbed by man. What a delightful article about the birds singing. I suppose I can supplement this by adding some sounds of these birds. I use xeno-canto.org because they are available and have many to choose from. 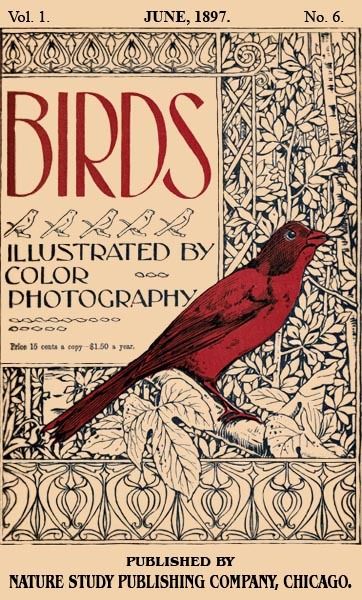 This entry was posted in Birds, From The Past and tagged Birds Illustrated by Color Photography, Birdwatching, Christian, From The Past, Home School, Kids, Kids of all ages, Photography, Tuwhoo tuwhit, Vol 1 #6 June 1897, Youth. Bookmark the permalink.